Great rugged saddle! I have a Brooks on every one of my bikes, the most comfortable I've found. 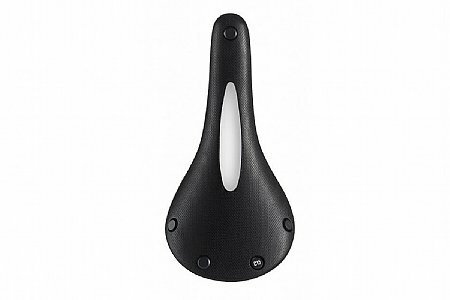 I do a lot of long distance rides and this saddle is made for comfort. i even have one on the bike I use on my indoor trainer! It is made of very tough but comfortable material. Great for long hours in the saddle. Just finished a 500 mile bikepacking trip on this saddle. No complaintsno sores. Nice not having to worry about it in the rain. Very happy with it. My favorite saddle. Use it on three bikes. Everything you would expect from a Brooks saddle. Comfortable and great for PNW wet weather.